We provide Real Time Tick by Tick data for all indian markets. NSE CASH, NSE OPTIONS, NSE FUTURES, NIFTY OPTIONS, MCX , NCDEX , COMEX , NYMEX and INTERNATIONAL INDICES. 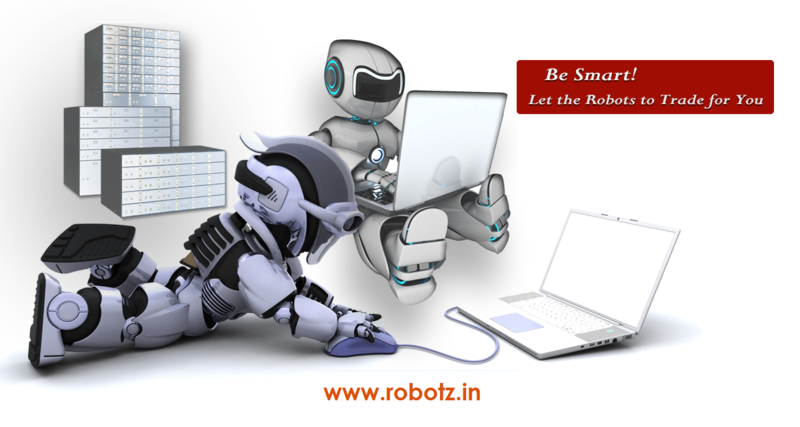 Robotz is the most trusted and highly accurate charting Data feed provider in MT4 Platform. And also provide custom indicators. It is very user friendly, where you can do analysis easily and trade simply on your trading terminal. Automatic Buy and Sell signals. Automated trading alarms and signal messages. Real-time updating of End-Of-Day Market Data. 1000+ Powerful custom Indicators . Ability to create various custom indicators, different time periods (from minutes to months). Multiple Time frame Support - 1/5/15/30/60/360 Mins or day/week/month. Simultaneous Live Update of Multiple Charts in all time frames. Multiple Trend lines and Line Studies.